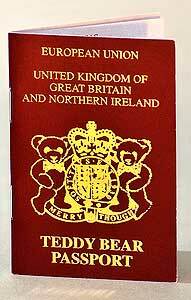 Passport from the Merrythought Collection. 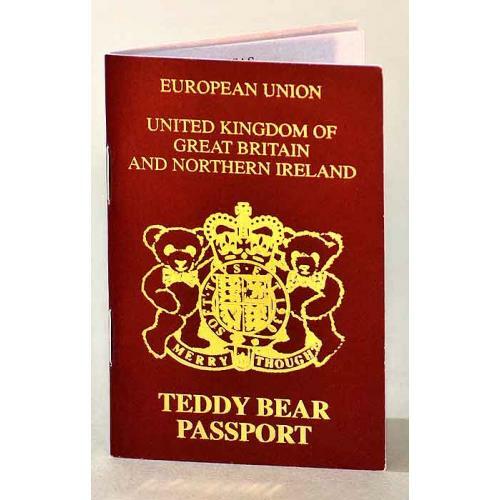 The little Merrythought Passport has 16 inner pages and has space for a photo and like our passports It has space to be stamped also. There are pages with information about Merrythought and also a page for 'Essential Bear Care'. Each passport is numbered.